SolutionKeys’ IT Outsourcing division is the top choice for businesses in the upper mid-tier and tier one marketplace. Our comprehensive set of mature offerings spans the entire value chain of IT infrastructure, operations and application management services. Our solutions provide you with minimized risks, maximized flexibility and ROI improvements that go straight to your bottom line. Outsourcing solutions can help your organization reduce costs, accelerate time-to-market, simplify IT management, enhance efficiency, and enable you to expand or reallocate resources to the highest value opportunities. SolutionKeys provides the right mix of outsourced, managed, and project services to deliver the greatest business value. Technology and Outsourcing of your network, server, storage, security, and desktop. Service Desk Solutions including help desk, maintenance, hosting, monitoring and management. Application Solutions including web services, client server, and custom development. Our services are customizable, cost-effective, and easy to implement. We work with you to design an industry standard service level agreement (SLA) to best meet your organization’s specific needs, while reducing costs and enhancing service. SolutionKeys combines exceptional financial strength, unsurpassed technical and management expertise, and an extraordinary track record of success. We reduce your risk even further by structuring our solutions around your unique technical, business, and financial requirements. And we’ll go “beyond the contract” to respond quickly designing and implementing a fit for purpose solution around your business needs and objectives. Our end-to-end offerings reduce costs, accelerate time-to-market, simplify management, expand your resources, enhance your efficiency, and help you refocus resources on your highest-value opportunities. Outsourced, project, and managed IT operations services – customized to meet your IT needs SolutionKeys can provide the right mix of outsourced, managed and IT project services helping you to squeeze the most value from your business or organization. No matter what services you want, our team will integrate it seamlessly with your own, in complete alignment with your business goals and strategies. 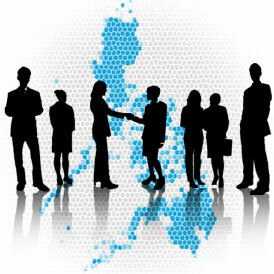 Our services support selective outsourcing strategies that deliver the key benefits of outsourcing without the risks. No matter which SolutionKeys solutions you choose, you’ll leverage our exceptional “people, process, and technology” approach, proven best practices, and world-class project management skills. SolutionKeys help desk experts can help you leverage best practices that dramatically improve the performance and efficiency of your support services – whether you’re creating a new help desk, enhancing an existing help desk, or consolidating multiple help desks. We can help you integrate best practices in process engineering, knowledge and incident management, SLA negotiation, metrics, communication, and more. We can also help you intelligently assess the outsourcing options. SolutionKeys provides fully managed support that covers your entire technology environment including end-to-end systems management. SolutionKeys’s Desk Side Support can help you reduce risk, lower cost of ownership, streamline IT management, and minimize downtime throughout your organization. We’ll help you improve user and infrastructure support without up-front investments or management hassles. At remarkably low cost, we can include automated proactive monitoring to identify and begin solving problems — often before you’ve even noticed them. SolutionKeys is your single point of contact for all service and support. SolutionKeys ensures our customer’s network, storage, and servers consistently run at peak performance. We can be on-site with your team or work from a remote location where we combine our people, process, and remote tools to ensure your business operations function as expected. Our team helps you manage both strategic and tactical technology-based initiatives. Servers are the lifeblood of your business network, which is why server problems can cause such a disruption in your business day-to-day activities. When a server stops, so does business as usual. SolutionKeys IT Solutions has technicians who are experts in all aspects of server setup, installation, diagnosis, repair and maintenance, as well as complete network and server support. SolutionKeys provides you with an assessment and implementation roadmap of your network and servers, and documents milestones and improvements. Whether your business has a Microsoft Server or Linux server, our certified technicians can support your environment. Are you running VMWare or Microsoft Hyper-V to virtualize all of your servers into one redundant server cluster? SolutionKeys’ server and network administrators can effectively build and maintain your server infrastructure solution. SolutionKeys provides your company plenty of flexibility with server and network support services. We can be onsite with your team or work from a remote location where we combine our people, process, and remote tools to ensure your business operations function as expected. We help you monitor the strengths and weaknesses of your network and servers, as well as determine any configuration changes that may be necessary. We offer valuable service in assuring that your network, servers, and storage devices are running at peak performance. Our network and server support management frees your team to focus on more strategic business projects. It’s more important than ever to focus on your highest-value opportunities. Are the details of day-to-day IT operations standing in your way? Ready to liberate your people to focus on your key strategic goals? Ready to simplify day-to-day management and dramatically reduce business risk? Ready to maximize the performance and value of all your IT operations? Then you’re ready to discover the team that’s been delivering excellence in IT operations and learning for decades. Copyright 2007-2018 SolutionKeys Ltd. All rights reserved.